a sunny paradise for your ideal holidays! In the south-eastern tip of the island, at the district of Skala, lies Ostria´s House. 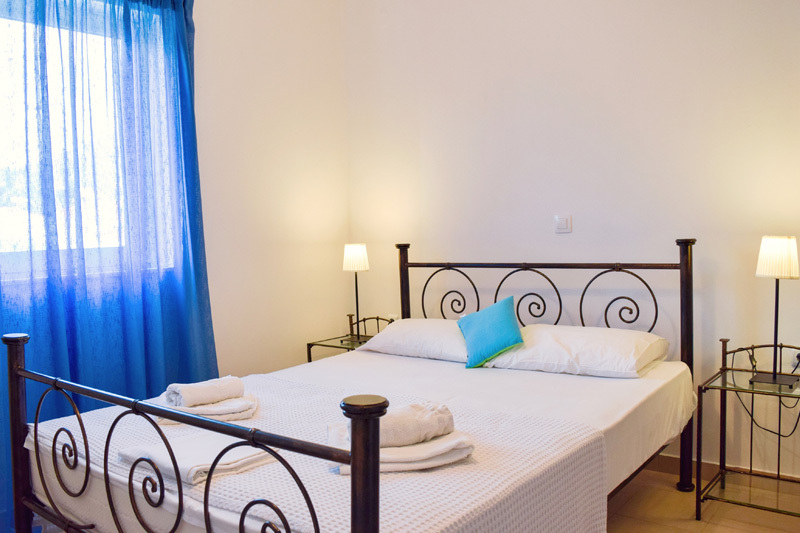 Ostria´s House is situated in the picturesque village of Ratzakli, between the popular village of Skala and the fishing village of Kateleios, in a very close distance from both. The port of Poros which connects the island with the main land is only 20 minutes far by car from Ostria´s House, which is very convenient if you are travelling from Athens. The physical surroundings create a scenery of rare natural beauty. It's nature at its best! 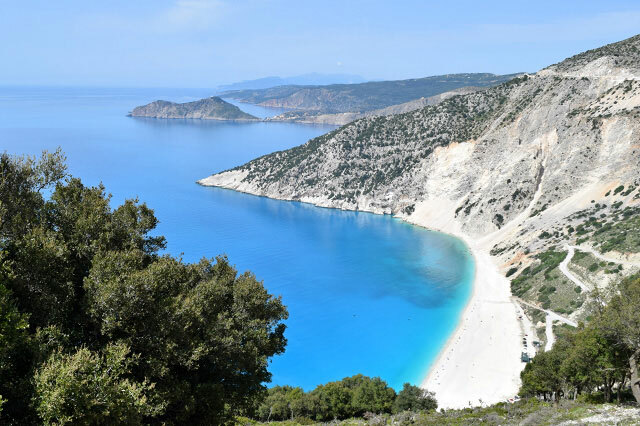 Ostria's House is built on a natural amphitheatre with a panoramic view of the Ionian sea, Kaminia beach and the adjacent island of Zakynthos. The view from the Ostria's House is overwhelming. 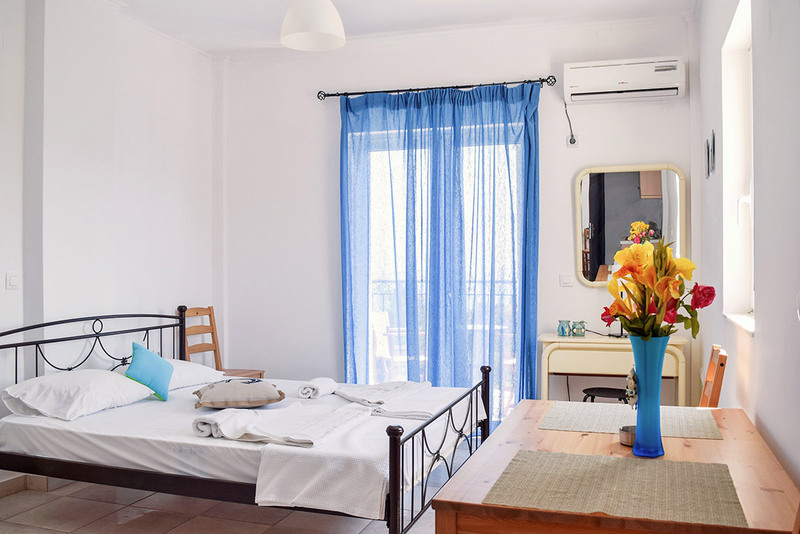 Open plan studios, consisting of a living/sleeping area with a double bed or twin bed, a bathroom with shower and fully equipped kitchenette. Open plan studios, consisting of a living/sleeping area with a double bed, a bathroom with shower and fully equipped kitchenette. 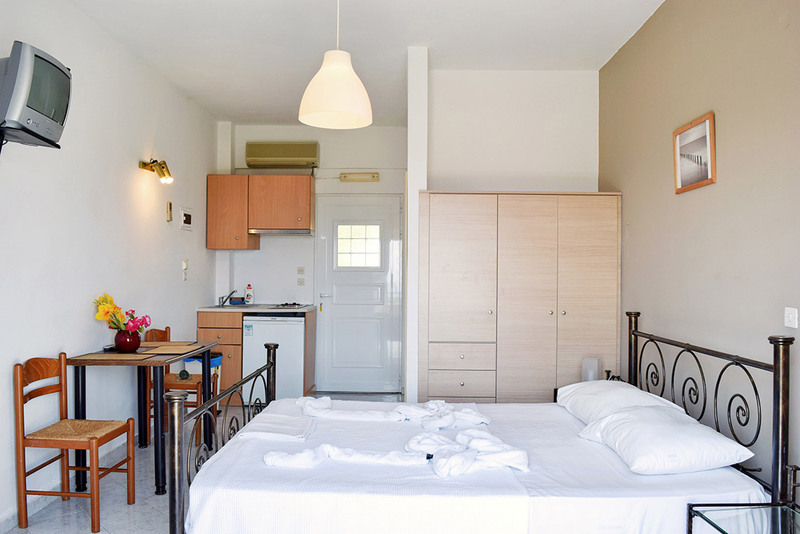 Sea View Kefalonia Apartments with one double bedroom, living room, bathroom with shower and a full size kitchen. "Perfect location with great view! Nice, caring and helpful owners. 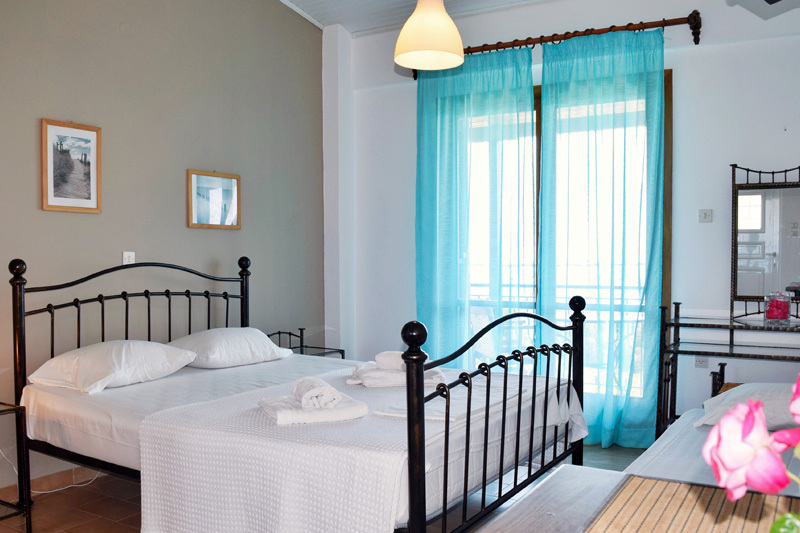 Really clean (room, towels and sheets), airconditioned and well equipped room (1st floor overlooking the pool). 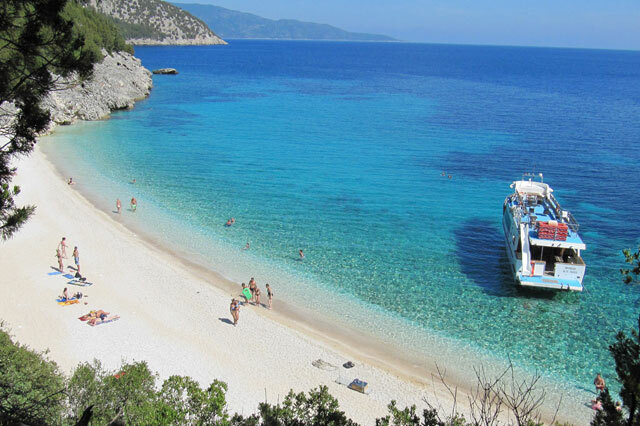 Situated near lots of beaches (Kaminia, Mounda, Skala etc). Many places to eat, drink and shop at 5 to 10 minute distance. It's position though guarantees your peace of mind. The island is big so you'd better have a car." "We had a lovely holiday in this gorgeous place. Fresh figs and other fruit on the trees, lovely pool, stunning view and good location. 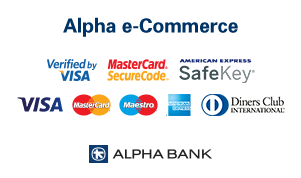 5 minutes by car to Skala in one direction and 5 minutes to Kelethias village in the other direction with tavernas on the beach. Our apartment was clean and tidy with modern bathroom. Sofa bed in lounge a bit uncomfortable for 2 adults. Christina came each morning with breakfast to our terrace. It was perfect. She was very kind and made us very welcome. Mr Thasoss made us very welcome and we where sad leave when our holiday was over. We will be back for sure"
"We stayed at Ostria's House June 2015 & Sept 2015, and we are going back again June 2016, a really lovely place, if you want a quiet location, value for money, great breakfast and beautiful views!! 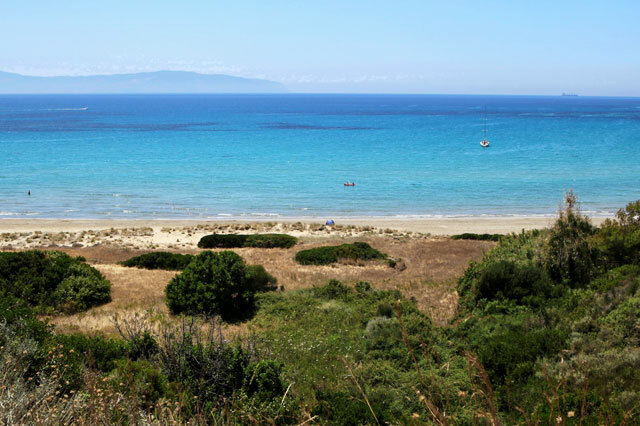 Kaminia beach is a short walk, with a fantastic Cantina serving home made food!! Be aware the walk back up the hill to Ostria's House is very steep, especially in the heat, but it's great exercise & you can jump in the fantastic pool when your back!!"